I must admit that I can be a bit lazy when putting cards together. 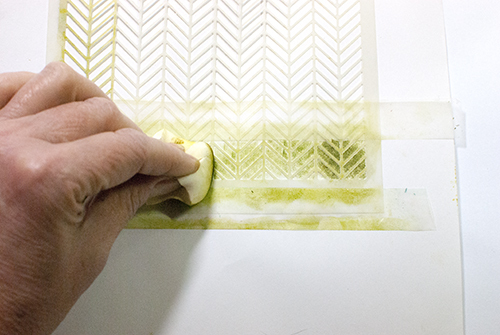 Often, I’ll stamp and embellish a central panel and then layer it onto a colorful base card using additional layers of paper (either solid or patterned) in between as a mat to tie things together neatly. It’s an approach that is easy and often works well, but you can get in a rut doing things the same way all the time. Using multiple layers of paper can also make your card heavy – something to consider when you want to keep the weight (and postage cost) down. 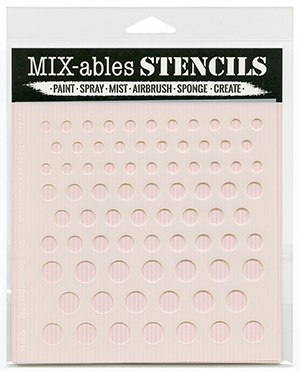 For quick cards that you want to mail or give on the day you make them, quick drying inks applied using a stipple brush, a sponge or mist bottle can be ideal. 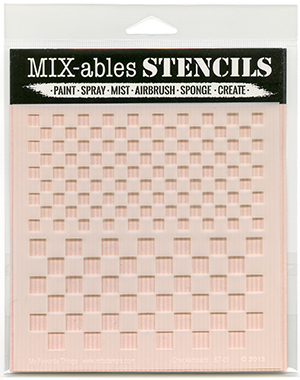 (Note: If you plan to use a spray, do a test run first as some runnier sprays may be tricky to use with a stencil.) Or you could use watercolor markers, alcohol ink markers or even pastels or chalk. 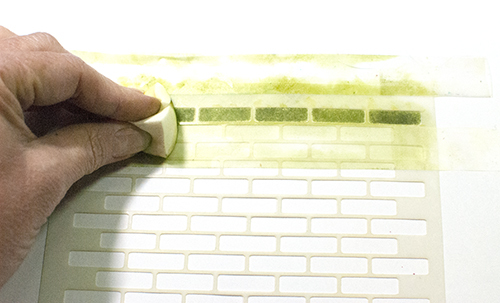 If you can allow more time for drying, you might use thicker acrylic paints, dimensional glues or stencil pastes to create more dimensional borders. 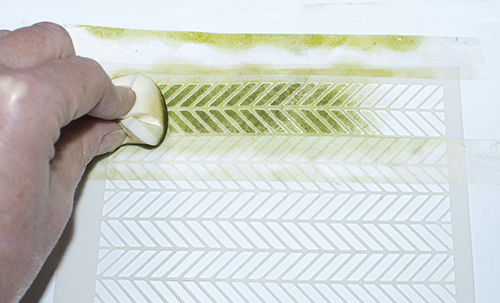 Note: If you use products like acrylic paints that dry to a very tenacious coating, be sure to either clean your stencils immediately or place them in a container of water until you can clean them so that the paint doesn’t dry on the stencils. 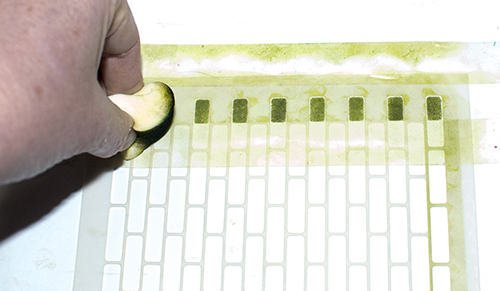 You may also need to wipe off even quick drying ink between colors as you work to keep ink from migrating to where you don’t want it. 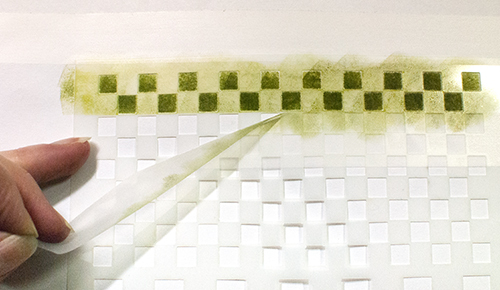 A slightly damp paper towel should do fine for water-based inks. 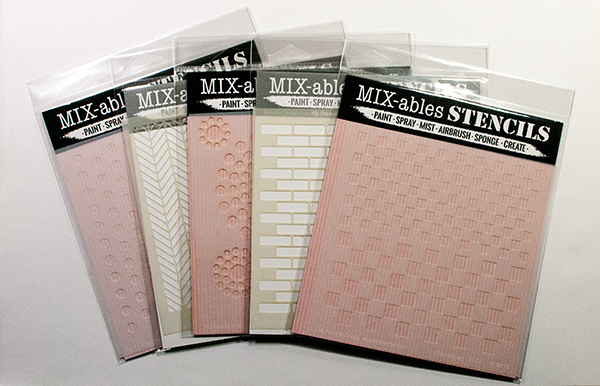 All are 6” x 6” and are made of a stencil plastic that appears to be sturdy and should hold up to the types of uses most card makers will put them to. 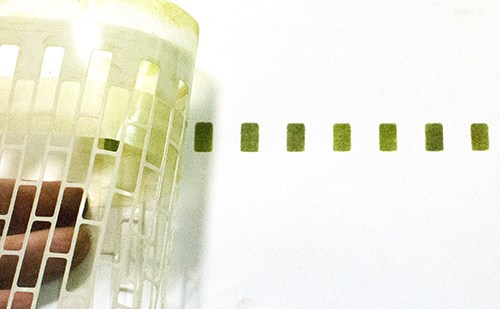 They are translucent so that, while you can easily see the ins and outs of the stencil design, you can still see through the stencil to what is below for placement. To isolate the rows I wanted to use, I used a piece of removable tape along the long outer edge of the stencil and another just below the bottom row of the pattern I wanted to use. This way, the tape protected other areas of the card from the ink if I got a little sloppy with my stippling or sponging. If you were using a spray, you would want to mask off all but the limited area you want to use, either with additional removable tape and/or or a piece of scrap plastic. 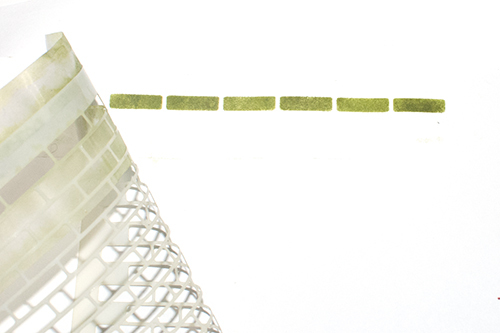 Either way, the tape is also handy for keeping the stencil from moving around while you work. 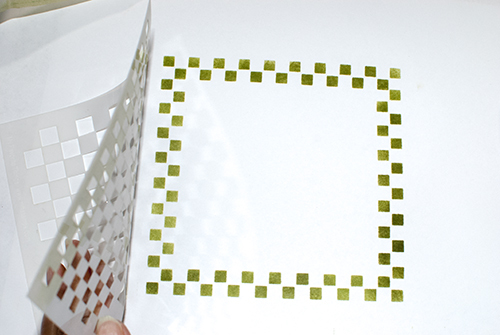 Notice that you can create single rows or columns of the checkerboard pattern or you can turn the stencil 90 degrees three times to create a stenciled frame, lining up the pattern by overlapping a few openings at the corners before you tape the stencil in place each time. 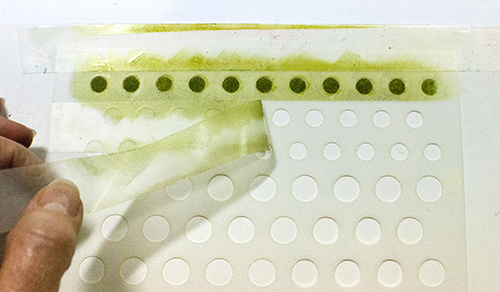 The Graduated Dots stencil gives you three dot sizes to work with: three rows/columns of small, then three rows of medium and then three of large dots. 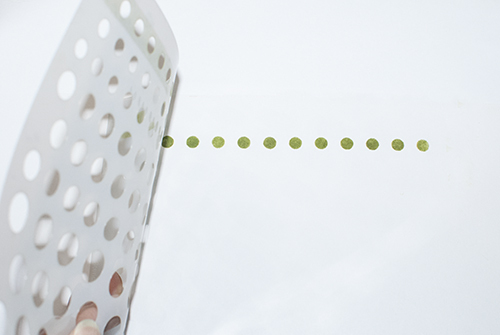 You could of course use the entire stencil to create a background of graduated dots or instead, again tape off the dot rows you want to use with removable tape and ink up just those rows. If you are working on a piece that is bigger than 6”, you can easily line up the dots by overlapping a few so that you keep a nice straight line. You could also work with a marker or other small applicator to color every other dot (leaving some of the dot holes unused) or stagger the coloring of several rows of dots for a more random border. Or you might just do partial rows and columns of dots at each of the four corners of the card for a more casual framing effect. The Diagonal Bars could be used to create quite a striking background or you might use just one row/column of the pattern. Or you might use two or three. 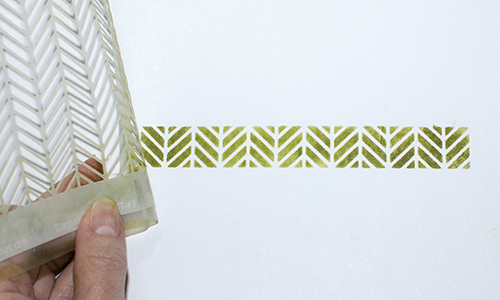 Turn the stencil ninety degrees to create a corner. 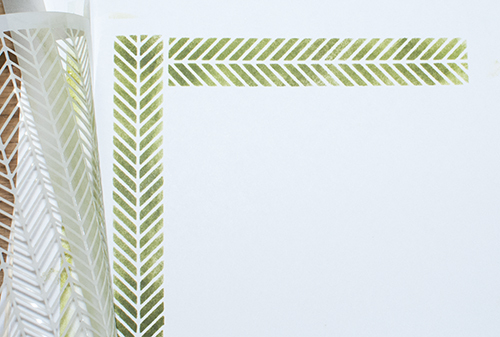 You could also turn the stencil ninety degrees and tape off a border that goes against the grain of the bars, creating more of a zig zag border. You could use these borders on just one edge of a card, on two opposite edges or on all four. The Small Brick Wall could be used behind the edges of a central panel to suggest a brick layer below but you don’t have to use it as a wall. 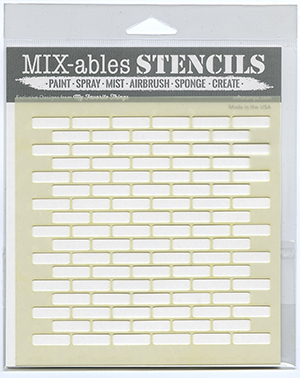 You might use two or three rows of the Small Brick Wall stencil to create each border line or you might instead use a single row, as I did here, so that it looks more like a dashed border than a wall. 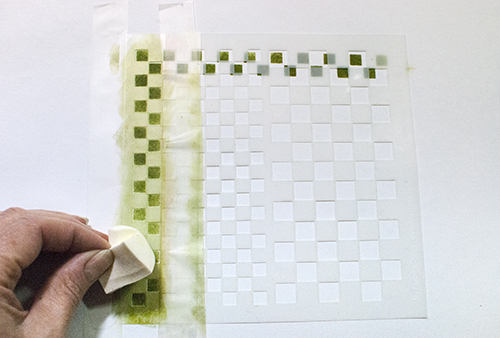 Or turn the stencil ninety degrees and tape off the interior of the wall pattern so that only rectangle or square openings are exposed for a different dotted line look. The Concentric Circles stencil has a lot of potential. It could be a background of course, but draw in a few lines to create stems and it might be used to create individual stylized flowers or try it as fireworks for a stamped scene. 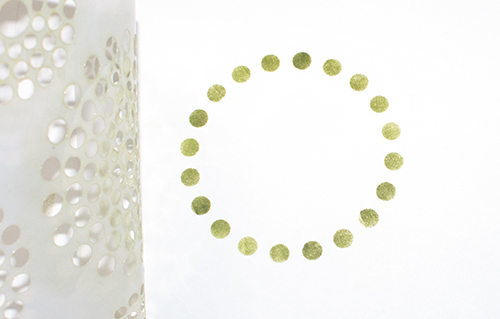 But you might also mask off the centers of the bigger circle patterns to create circular dotted borders with a blank area inside where you can then stamp or layer something. 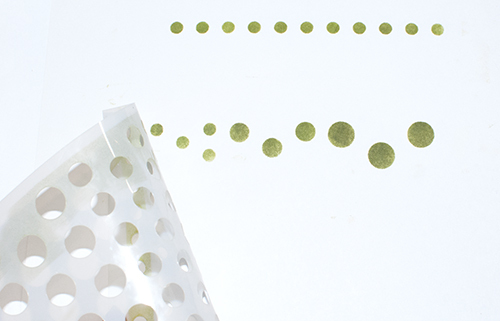 Create the mask by stenciling one of the circles onto masking film or scrap paper. 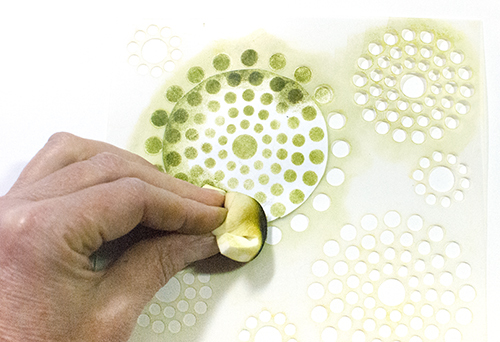 Then cut out the mask, cutting away one or more rows of the concentric circles. Here I cut away one row from one of the larger circles. Place the stencil on your card and them position the mask over the center of the concentric circle you are working with. Make sure that all the outer holes are unmasked. Because I created my mask from scrap paper, I simply taped it in place temporarily with removable tape. 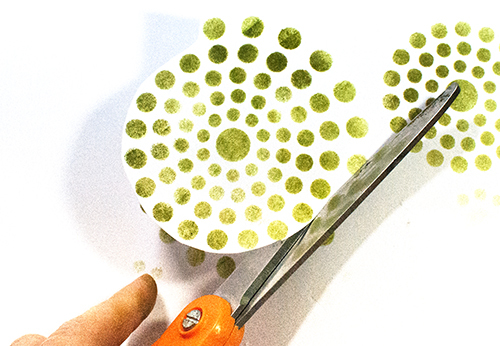 Then carefully ink the outer row of exposed holes, creating a circular frame that can be filled with a stamped image or a cut out photo, etc. Just as when you look at a stamp design, you should look at its lines and details to discover alternative ways to use it, you should examine your stencils to look for additional ways they might be used. This lets you stretch the value of your tools as well as your creativity! Yay! Nancie id back! I was so pleased to see your article in my inbox. 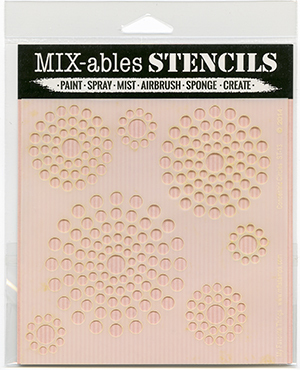 I love the stenicl masking idea and plan to try it! Take care! Great ideas on getting the most from your stencil, Nancie. Thanks for this tip. I have some existing stencils that could be used that way. Will have to give it a try. It was so good to see something from you in my email box. Thanks again. Thank you for posting this. Very helpful. 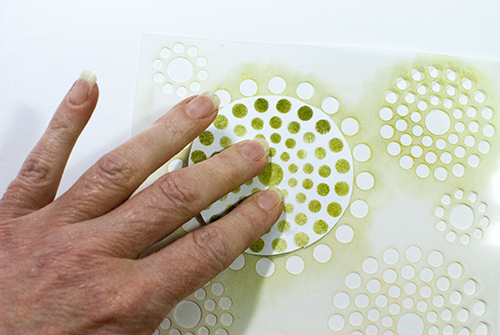 Happy to hear from you…interesting article…I usually use my stencils with my Gelli plate, and also for mixed media!!!! So happy to hear from you again! Been wondering what happened to you, but didn’t want to be nosey… Great ideas in this new article. Thanks for being there for all of us!! Terrific to see VSN (and you!) in my in-box! This is a great article. As always, TFS. Love the article. Already have some of the stencils. Thank you I don’t see where you can download in pdf on this one so will have to print. This is a great article. As usual you have covered a technique with excellent clarity and depth. I really enjoy your ideas and am happy you share them with us. This is a fun one. 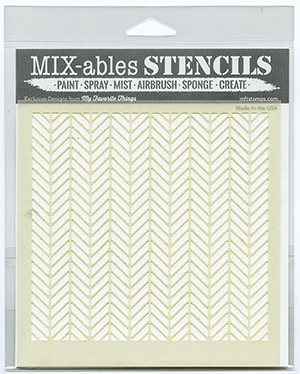 Great ideas for borders and love these stencils!